You’ve seen the standard figures on pedestrian safety in the news or on a blog. This many pedestrians die when hit by traffic going that speed. Everybody quotes the same figures. Anybody who quotes them doesn’t understand traffic safety. They were discredited decades ago. One editorial was bold enough to add “the science is clear.” It isn’t clear. It isn’t real science either. It is government science. Real science has peer review. Government science has PR review. The bloggers remind me of Jenny McCarthy. Have you thought about why the leader of the anti-vaccination movement is an actress rather than a scientist? When the vaccine-autism link was disproved, scientists stopped believing it. We wouldn’t have heard about the link in the first place if not for a conflict of interest. Andrew Wakefield could have become rich if people had believed him. He didn’t get rich, but he got a convert. Jenny McCarthy keeps on spreading misinformation about vaccines, leaving a trail of dead bodies in her wake, because she wants to believe. In 1992 a Finnish researcher presented a mathematical model of fatality rates of pedestrians hit by vehicles at various speeds. According to his model, at typical urban arterial traffic speeds most of them died. An American group checked this result. The paper was wrong. At typical urban arterial traffic speeds most of them lived. A third study said they were both wrong. A fourth explained the statistical bias that made early studies overestimate danger. Science moves on. Nobody has the last word. We might not have heard about the original paper in the first place if not for a conflict of interest. Enter the National Highway Traffic Safety Administration. NHTSA funds your summer holiday speed traps. Pharmaceutical companies sell drugs, tobacco companies sell cigarettes, and NHTSA sells regulation. It relies on a perceived need for more laws and more tickets. NHTSA paid for a report on pedestrian safety. It had to pass PR review. The authors called attention to the Finnish researcher’s model even though they knew it was wrong. It may be wrong, but it is also government policy. Letting NHTSA fund research to justify its existence is like letting Big Tobacco control lung cancer research. A paper on rumble strips may get through uncensored. When an engineer found that speed limits didn’t matter, NHTSA tried to suppress his report. The administration’s policy called for low speed limits. The propaganda got out and thousands of people took the bait. They wanted to believe, no matter what the facts. People who say “80 percent of pedestrians die when struck by a vehicle traveling 40 mph” don’t know what they are talking about. They may be ignorantly parroting talking points. They are still spreading lies about public safety. They’re little Jenny McCarthys. Maybe with less plastic. "Pharmaceutical companies sell drugs, tobacco companies sell cigarettes, and NHTSA sells regulation. It relies on a perceived need for more laws and more tickets." And the NMA sells anti-regulation. 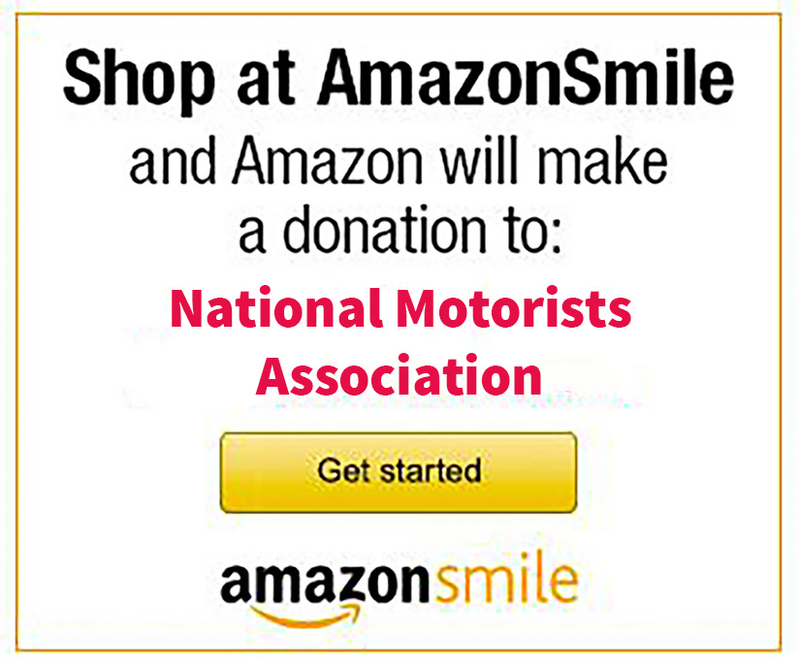 The NHTSA is a propagandist and the NMA is not? This is why I left the NMA after being a charter member of the CCRTL back in 1982. Although NMA positions are consistently rational (the "R" in CCRTL) they then typically go too far, as does the essay above. Saying the NHTSA "sells" regulation like R. J. Reynolds sells tobacco is going too far, and reduces the perception of the NMA to a radical nut job entity. Sad that you left, Mike. Sadder still that you've come to embrace regulatory agencies regardless of their obvious conflicts of interest and just as obvious lies and misrepresentations. Like you, I'm a holdover from the CCRTL days. Unlike you, truth still matters to me — especially in government and public policy. Does the NMA have an agenda? Yes; safe, efficient and fair traffic policy and enforcement. In three decades, I've never seen the integrity of that mission compromised for financial gain even when certain views were wildly unpopular even among NMA members. You cannot say the same for NHTSA, IIHS, MADD, FHA, DOT, the various photo-cop vendors or any other public or private entity that claims to be acting on our behalf. All of them lie regularly and have been proven repeatedly to do so because it is in their OWN best interests to do so: NHTSA, IIHS and even MADD predicted bloody Armageddon each time highway speed limits were raised — and at least NHTSA & IIHS continue to shout the same lies. MADD has grossly misrepresented, exaggerated and flat out lied about 'drunk driving' while championing legislation to manufacture more 'drunks' out of people who aren't. If you can offer up even one example of a NMA position that was based in self-interest rather than fact, I'm sure that we'd all like to hear it. If believing that truth matters more than politics makes us nut-jobs in your view, then you've become part of the problem. The link between vaccination & autism was not refuted, but confirmed. Jenny McCarthy believes in the fundamental promise of vaccination, allowing unfit people to evade natural selection. Her big push was for "green the vaccine"
Even if all the toxic ingredients, and adjuvants were removed; the process of injecting foreign elements past the immune system generates a harmful systemic auto-immune response. It is cheating, and does not work-it never did; see who gets influenza, see who gets the whooping cough. Car/truck collisions with pedestrians have been taken into account when vehicles are designed. If you take a 2015 & 1965 model year car, and hit a pedestrian. They are far more likely to live with modern vehicle. Cite a source then. This link was refuted so thoroughly that the article was retracted by the journal. That's something that only happens due to wrongdoing, not results that happen to later turn out to be wrong. Do you know how much money is made by big Pharma in just vaccines? It is in the billions. Do you know how much money is made in selling 'solutions' to the side affects of vaccines? Also in the billions. Pressure was applied (positive or negative, probably a little of both) and the journal retracted. I think John succinctly makes the point that many people will believe that which they choose to believe regardless of the facts. I don't think John cares — and nor do I — whether or not parents choose to ignore prevailing science and refuse to vaccinate their children. The facts do not lie, vaccines save lives! And arbitrary numbers painted on a sign that do not match the speed that design and engineering says are the safe maximum or are the speed that drivers are comfortable or safe have no effect on actual travel speeds. There is a push in NYC right now to get a state law passed to allow the city to have a 20 unless otherwise posted limit throughout the city. The claims they are making is that for some reason that 20 is the safe speed, and that 30 is outrageously too fast. They are also claiming that drivers will obey that limit when asked. But 7+ decades of DOT data says otherwise on both accounts…… The facts say without a complete redesign of the city streets to make faster travel uncomfortable a 20 limit would never be obeyed or possible to be enforced… But those pushing for this will hear none of this……..
Carr can write what he wants but it sounds like he is the one spreading disinformation about an unrelated subject like vaccines. Stick to the subject matter Carr. We can decide on our own about vaccinations for our children. BTY, 90% of Marin County Calif. decided agin them and they are a very educated prosperous bunch. Oh please. Yes, you can decide not to vaccinate your children. No, it doesn't make you more informed or even smart. The science is in on this and John's reference to the True Believers of this myth is on target. My, my. How very off-topic we've gotten here. It would seem Mr Carr has touched a raw nerve somehow. Another statistical lie spread by nearly everyone with a vested interest is, over 30% of Traffic Fatalities are caused by exceeding a Speed Limit. The latest "Proof" of this is the recent traffic accident involving the deaths of 6 people in California. The Driver At Fault in the accident was driving ca. 100MPH (160Km/h) in a 65MPH Zone. The Highway Patrol and News Media were quick to report, Speed was a factor. Maybe Speed was a factor in the severity of the Crash but the cause was an intoxicated woman driving the wrong way on an Urban Interstate. I worried that someone might sneer about my post, and i find out it's even worse: they removed my post. It was the first time i had to stop reading an NMA article. Really, the vaccines are "on-topic". But on vaccines he's pro-establishment. Would that he were able to see the "flaws" in a vaccine study as easily as a speed study. They're even more obvious. I've never noticed Jenny McCarthy leading the movement. Andrew Wakefield and Sherri Tenpenny—both M.D.s—yes. Jenny no. Besides, if Jenny were PRO vaccine we'd be expected to listen. And so, to sum up: Mike thinks comparing the motivation behind NHTSA misrepresentations to those of the tobacco industry goes over the top and makes us all look like nut-jobs while I agree with John that self-interest corrupts the positions of both. Besides — nobody ever made me buy cigarettes but NHTSA regulations intrude on my daily life. Others are in a tizzy that John backhanded the anti-vaccination crowd, which has absolutely nothing to do with anything unless you're offended by the distinction between popular hysteria and prevailing science. In other words, Spike thinks Big Government regulations are bad for motorists, but they have all our best interests at heart (at pocket?) when it comes to our health. The people against vaxes are hysterical — Dr Tenpenny is hysterical? — but the people fighting speed laws are sensible and rational. Look the "prevailing science" in favor of vaccinations is the same science that prevails in red light cameras. The sort of science that says RLCs make us safe and we should drive 10mph on urban streets and 45 on freeways. You can keep your health insurance if you vaccinate your kids; your kids'll need it. I'd rather not pay for health insurance because I don't want health "treatment" because it consists of things that make one sick.